The beginner Bosu burpee is a full body conditioning exercise that is suitable for all fitness levels. The Bosu step over is a great lower body exercise that is suitable for all fitness levels. 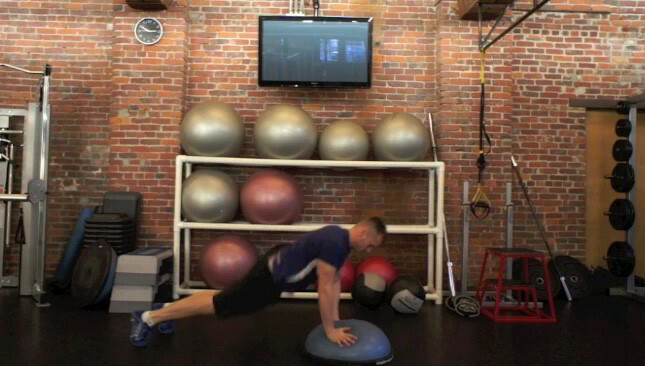 The Bosu burpee jump is a great full body exercise. It targets the lower body, shoulders and mid-section and can be used as a warm-up exercise or part of a circuit. 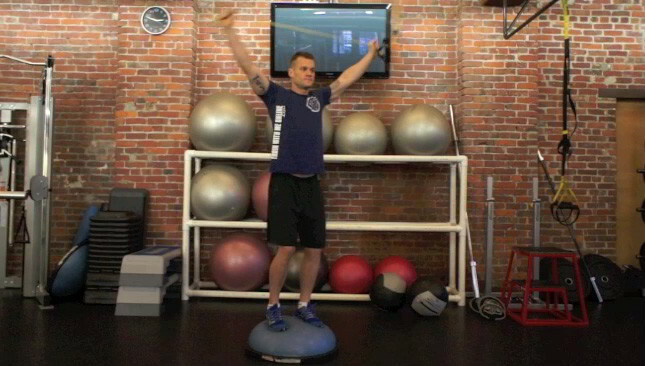 The lateral cross over on the Bosu is a beginner level cardio based exercise. This exercise targets the inner and outer thighs and is suitable for all fitness levels. 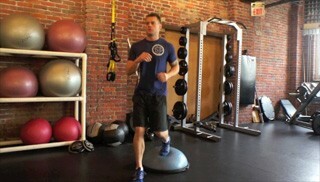 Running on the Bosu is a beginner level exercise. This is a cardio based exercise and is suitable for all fitness levels. 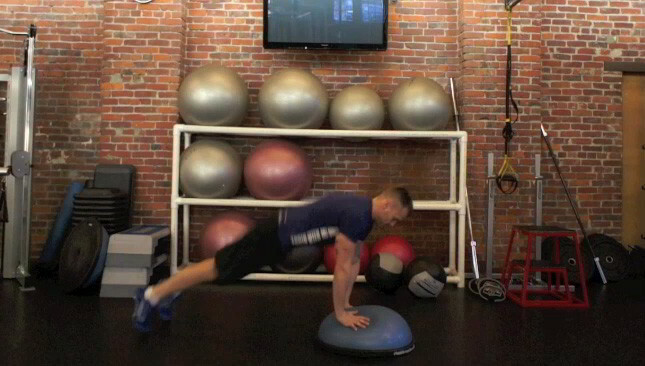 The beginner Bosu plank up is a challenging beginner level exercise that targets the shoulders, arms and core.